Mort Garson is a well-known pioneer of electronic music, prolific in the late '60s and early '70s. Born in Saint John, NB, he later moved to New York City and studied at the Juilliard School of Music. After serving in World War II, he enjoyed a long career in music, exploring an obscene amount of styles and genres. Among his lesser-known albums is a gem called called Plantasia - Warm earth music for plants and the people who love them. 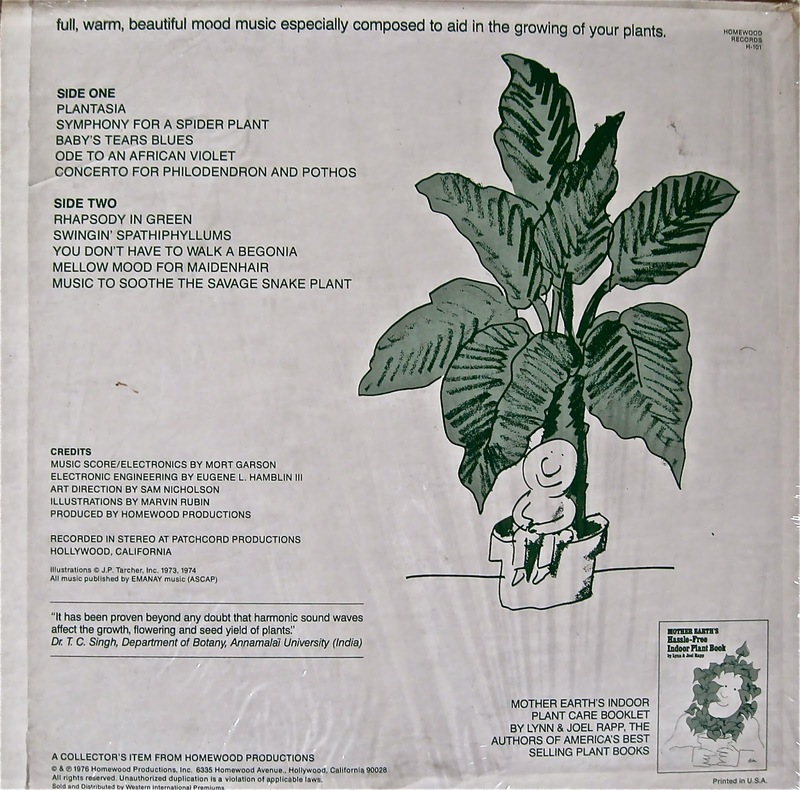 Yes, dear readers, this is an album written for plants AND for you featuring the Moog synthesizer of the early 70s. Very blippy-blappy, at times like listening to an orchestra through a telephone, and at times like being stuck inside an 8-bit video game. To add to the fun, the record came with an illustrated booklet on how to let the music speak to your plants. Indeed, When this mesmerizing album was released in 1976, it was not originally available for sale... copies of Plantasia were given away with Simmons mattresses through furniture retailers. "My parents got a copy of the Garson LP at a furniture store back in the 70s and it has always been a treasure of mine! " Needless to say, Plantasia has a bit of a cult following. And with tracks composed and titled so brilliantly, what else could we expect? it's time to turn up your speakers and face them towards your plants.